There is a strange new dental problem sweeping the US. 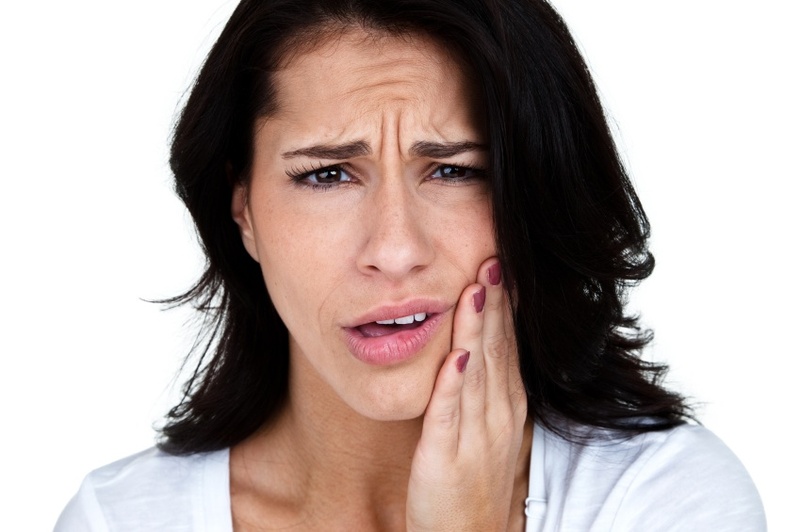 Statistics show more than half the people in the US have sensitive teeth! You would imagine dentists would be studying why this is happening, but believe it or not the information is all about treating the problem! Special pastes, gels and rinses can “block up” “open tubules” or “de-sensitize” nerves inside your teeth. Most dental journals have pages of advertisements for sensitive toothpastes and free samples are handed out at dental offices all over the country! Are these pastes the answer? Think again! Many advertisements for sensitive pastes are graphic and clearly explain what happens when you apply the products to teeth. Pictures show the pain occurs when open channels (called tubules) allow liquids to travel to the inside of your tooth and irritate nerves in the center. Some products deposit a kind of “putty” to block these tubules while others transfer metallic products that numb the nerves inside teeth. One advertisement shows a jug of milk pouring over a tooth and turning into an expensive paste that claims to repair these holes. So are these sensitive products the answer? Your teeth develop holes if minerals dissolve out of them, opening up channels that allow liquids to travel into the center (live part) of your tooth. A healthy tooth is protected from such damage by an invisible layer of protein called a pellicle (imagine a film of saran-wrap) on the outside of the enamel surface. Cavities form if this layer becomes infected and it will balloon up into a white foam known as plaque. Sensitivity, gum recession and erosion can occur when this protective film disappears. Most people have witnessed saran-wrap frizzle when it is gets too hot, literally vanishing to nothing. Long periods of acidity or dry mouth make this protective pellicle layer vanish, leaving teeth without protection. This is when minerals easily dissolve away and teeth become sensitive. Bleaching products, baking soda, peroxide and periods of mouth acidity or dryness damage healthy pellicle. Sipping acidic drinks (even diet ones) iced teas, mountain dew, sports drinks, flavored waters, citrus juices, and lemonade etc (even a lemon-wedge in water) can “frizzle” your pellicle. Numbing pastes are scary since besides numbing tooth nerves, they may numb your taste buds at the same time! Putty in “holes” can give you relief today, but will fall out or wear off and you will have sensitivity all over again. You need to stimulate natural repair and build minerals into your teeth to stop sensitivity for life. Expensive “re-mineralizing” pastes do not impress me (though heavily endorsed by the ADA – since they have a patent on the intellectual property). So try to figure out what happened to your natural protection and then choose a safe and permanent solution. Dairy products (especially fermented ones) Probiotics, xylitol, a balanced diet of vegetables and proteins, and the use of my Complete Mouth care System help “grow” this protective film back over teeth. I recommend you concentrate on protecting your teeth from acidity and mouth dryness all day with xylitol. These changes will not only take care of sensitivity problems (naturally and safely) but will keep your gums in tip top condition at the same time. ‹ How to Talk to Your Dentist? I have a cavity in between two teeth. Between, not on top… I brush my teeth after every meal with flourid toothpaste and sometimes adding two drops of tea tree oil. My supplements are multi vitamin, reishi mushroom, cod liver oil. I Dont eat sugar, but I do eat fruits. And surly brushing my teeth right after. Am I taking care properly? Please guide me. Thank you so much for your time. My first question is if you live in the US or not? The protocol that I recommend would be the best to help you. I do not believe that diet alone can repair teeth – at least not in my experience. A good diet may help prevent cavities but most people are not aware that fruits, any carbohydrates or even dairy can feed cavity bacteria. In my opinion you need xylitol, and you need to protect your teeth after everything that you eat or drink. Brushing your teeth after eating is not a particularly good habit and does not ensure you prevent cavities. It is better to brush your teeth before bed at night ( which is essential) and in the morning. I suggest you rinse with the rinses that I recommend because they reach more areas that are vulnerable to decay than toothpaste alone. It is important to use xylitol after eating to take away any acidity and help replace minerals in teeth. I hope this helps. There is a lot of information on our website and also in my book Kiss Your Dentist Goodbye. Thank you for your question. Thank you so much for your help. I do live in the US. Quick question for you. Is there a reason that you don’t recommend the closys toothpaste vs. Crest? Also I have periodontal disease and receeding gums. Can your system reverse that or will it just stop it from getting progressively worse? Ha Ha! No question is ever quick – if you want to know my reasons for recommending products! Closys is a toothpaste that I heartily recommend and I see it as a good choice for those who will not use my entire system of rinses. When you use the entire system, you need the rapid tooth-strengthening benefits of Crest, so as to put a kind of “force-field” around your teeth – before the acidic Listerine step of the system. Only Crest Cavity Protection paste has the science to show it can protect teeth in this way. I recommend Closys toothpaste for people who have gum problems, but are unable or unwilling to use the Complete Mouth Care System of rinses. I give Closys toothpaste to my local nursing homes and recommend it to people who cannot understand, or do not have the discipline, to use the entire system. Dementia and Alzheimer’s is closely linked with periodontal disease, so I see this as a good selection for anyone who is going down that difficult road. If you have bad gums but pristine teeth ( which means no fillings, no cavities, no staining, no enamel weakness, no sensitivity) then you could use Zellies with Closys rinse toothpaste, and probably see great benefits in your gums. On the other hand, it sounds as if you are looking to heal your periodontal and gum health. I suggest you follow the Complete Mouth Care System and also take a course of digestive Probiotics to improve your digestive health, while working to improve your nutrition. You want to brush your gums so as to stimulate circulation in them – on the inside and outside of your teeth. Once Zellies and the Complete Mouth Care System has adjusted the health of your mouth, your gums will begin to heal from the inside out. This is why healing is dependent on getting good nutrients into your blood supply and stimulating the circulation in your gums so the blood will deliver them there. Dear Dr. Ellie. I have been doing your complete mouth care system for a few months now. Since I live in Vancouver BC I was not able to source the Closys and the Act locally.. So I get them through Amazon.ca. My biggest problem with the Listerine original mouthwash with alcohol is that it causes such pain that my heart sort of skips a beat and when i spit it out I see bits of tissue from inside my mouth in the sink! I have switched to zero alcohol Listerine with all the beneficial essential oils and NO alcohol. I don’t have to dilute it and therefore can swish it around for a minute or two. Am I still going to get positive results without the use of the alcoholic Listerine? Thank you for your work. I don’t recommend Listerine zero. Perhaps you have a very unbalance mouth? You may want to skip the Listerine step until your mouth is healthier. I am not at all comfortable with the new varieties of Listerine.